This past weekend was the 2010 "Going to Bat for B. A. T" Fundraising Dinner. 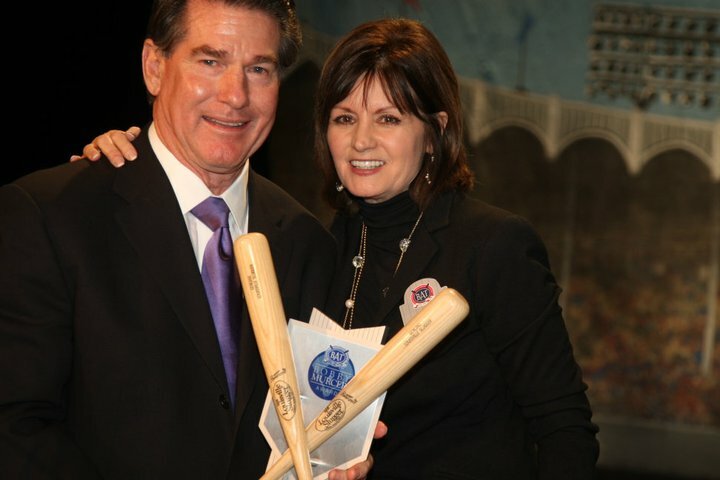 As a part of the event the NL Bobby Mercer Award was awarded to the Dodgers- see the photo above as Steve Garvey accepts the award for the organization. See more pics here on Facebook. Below is a little bit about this prize out of Wikipedia. Since 2003, members of B.A.T. have visited each team in Major League Baseball and solicit donations, all of which are given back to former players and members of the Baseball Family. The visits also educate the players to be the eyes and the ears of the B.A.T. organization by letting B.A.T. know about anyone who may be in need of assistance. The teams that donate the most money to aid others are honored each year with the Bobby Murcer Award. This year, the tour generated almost 2 million dollars in donations for the neediest members of the Baseball Family. Here is a great and truly vintage 19th century Baseball card currently available on auction from Goodwin & Company. It features do-it-all ballplayer Dave Foutz of the Brooklyn Bridegrooms (an early incarnation of the Dodgers). 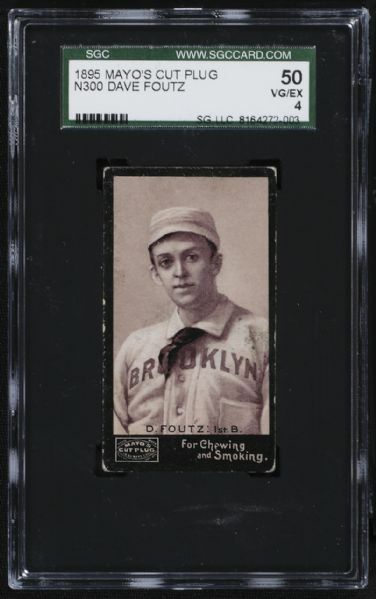 Foutz was decent with the bat, he could field multiple positions and he was a very accomplished pitcher... Heck, he even managed the Dodgers for a time. This guy was a Victorian Baseball renaissance man. His numbers don't lie. As a pitcher, in 1886 he won 41 games while losing only 16 with a ERA of 2.11. That year he threw 504 innings, had 55 complete games and had a ERA+ of 164. As a batter a year later, 1887, he would hit .357 with a OPS of .901. In 1889 he stole 64 bases. His ability to do it all made it seem that he was destined to become a superstar. Unfortunately, he fell short of greatness, although Baseball Reference does compare his career quite favorably with that of Hall of Famer Dizzy Dean. It is said that Foutz suffered through asthma throughout his life and eventually succumbed to it at the age of 40 - only a year after leaving the game. The card below is one of the scarcer Baseball cards out there. It was produced in 1895 by Mayo's Cut Plug. Shorpy does it again. Check out their great glass negative photo of old League Park in Cleveland from 1910- home of the Cleveland Naps. Check it out here. It's a view of the front of the stadium with fans decked out in suits waiting to get inside. This Cleveland team was filled with stars. You could watch soon-to-be Hall of Famers Nap Lajoie, Elmer Flick, Addie Joss and Cy Young there. More importantly, a young Shoeless Joe Jackson first came to the club in 1910. 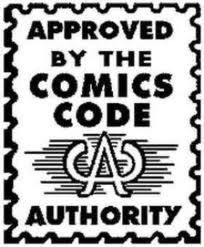 Both DC and Archie Comics have recently stopped following the Comics Code. This is a long time coming. 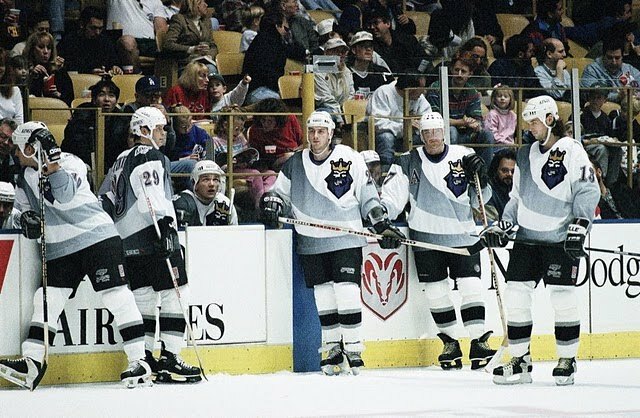 If you are a Kings fan then you know what the Burger King Jersey is. Check out this great story from The Royal Half about its origins. If you don't know anything about it or don't care then just take a gander at it below and laugh with us all. GCRL explores the Dodger career of Rafael Landestoy.